From the inverted logic department comes this rather curious devolpment involving the recently commissioned and operating Ivanpah Solar Power station. In a bizarre and ongoing case of inverted logic and serving as another example of just how inane and vacuous some individuals can be when it comes to the importance of alternative energy, the California Public Utilities Commission (CPUC) threatened to shut down the recently commissioned and operating Ivanpah Solar-thermal power stations because they were “unable to meet current production targets of 448,000 MWh annually“. Located in California’s Mojave desert, Ivanpah is the largest CSP (Concentrated Solar Power) station in the world and only came online in November of 2014. That such a draconian remedy was suggested for what amounts to a minor detail, for a plant that has scarcely been online a year, speaks to the scope and breadth of the problem. This detail was put in place no doubt by attorneys and politicians who don’t understand science and technology and who are indifferent to the outcome of their remedies or decisions. CPUC’s logic: “No power [from Ivanpah] is better than most of the 390 MW“. To be sure, birds also fall prey to other renewable-energy projects: Wind turbines kill between 140,000 and 328,000 birds in the U.S. every year, according to a 2013 study by researchers at the Smithsonian Conservation Biology Institute. Another objection (from the science illiteracy department) is that the facility has been using its Natural Gas backup – at night and during periods of cloud cover! Question: why does a solar plant need a fossil-fuel backup? Easy Answer (surprise, surprise! ): To maintain a consistent, dependable power flow. That [legal] requirement is (should be) outside the scope of any generating facility’s mandate, where certain significant variabilities (like cloud cover or lack of generating ability at night for a solar plant!) are outside the operator’s scope of control. I have to believe that this last point was evident to all involved, even the attornies and politicians. 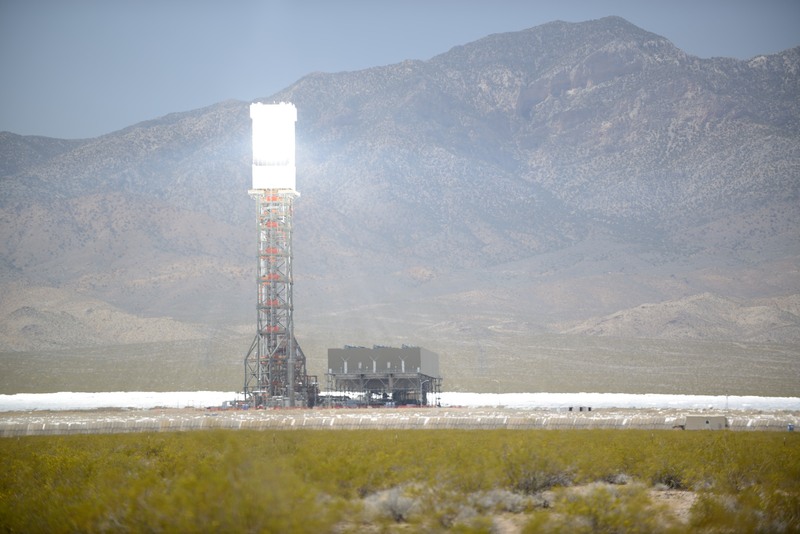 Ivanpah is using a relatively new energy storage technology where the sun’s energy is stored in form of molten salt. The facility can continue to provide energy for at least 5 hours after sunset by extracting the heat from the hot, molten salt to drive the turbines – at night! The good news is that the CPUC has given Ivanpah a temporary stay of execution since the operators, having learned the new technology and how to fine-tune it, have significantly increased the plant’s output to within 98% of its rated capacity! In all likelihood, it will continue providing clean, carbon-free energy for decades to come. An index of all articles in this blog can be found here. Free Digital Planetarium on your desktop! Going to the Stars, Riding on a Beam of Light! January’s Super Blood ‘Wolf’ Moon – Tonight!